Rather like a certain character on Game Of Thrones, the VHS format looked like it was dead, but then a bunch of dudes dressed in black with big scraggly beards willed it back into existence. Now all things VCR-related have become a full-on hipster phenomenon, but according to a report from Mental Floss, they’re about to get a whole lot hipper. Wait, scarcer. Did we say hipper? Anyway, publications like Endgadget mourned the death of the VCR back in 2008, when manufacturer JVC went out of business. 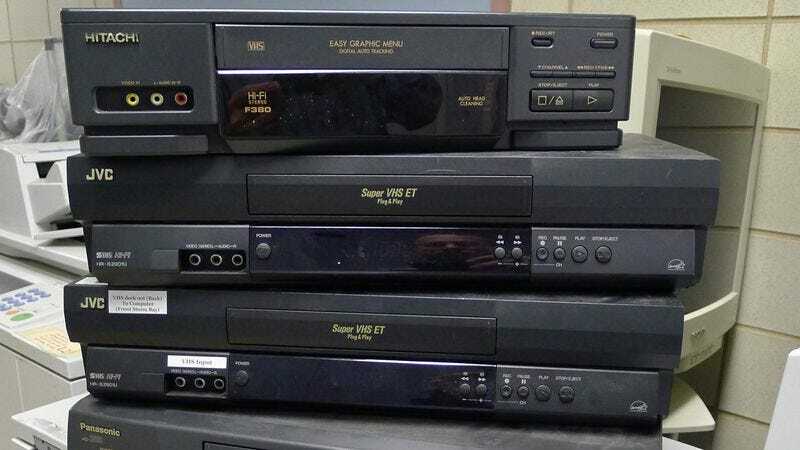 But apparently Japanese electronics company Funai Electric didn’t get the memo, and has continued to manufacture VCRs in China and sell them in North America under brand names like Sanyo. Until later this month, that is, when the company—which sold a mere 750,000 units worldwide last year—will shut down production of the lovably clunky pieces of outdated technology for good. Or at least until the thrift stories run out and Urban Outfitters sees a revenue-generating opportunity. R.I.P. VCRs. Again. For now.